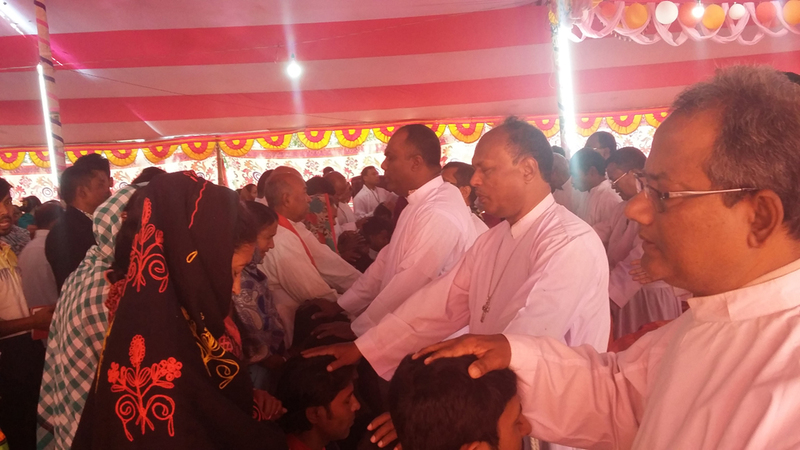 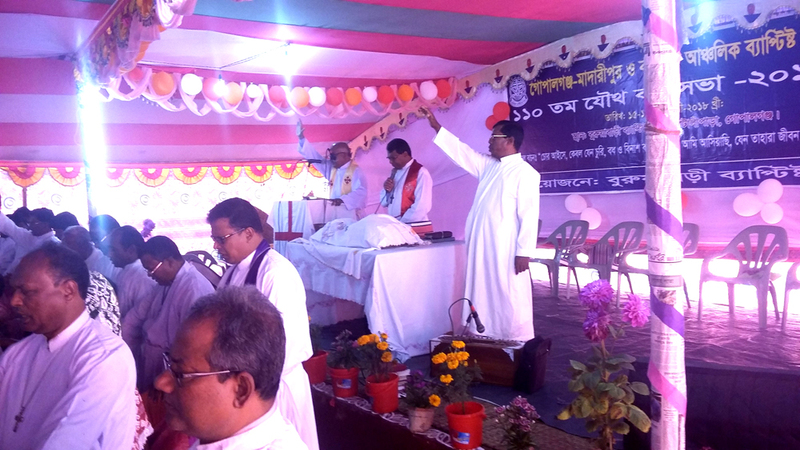 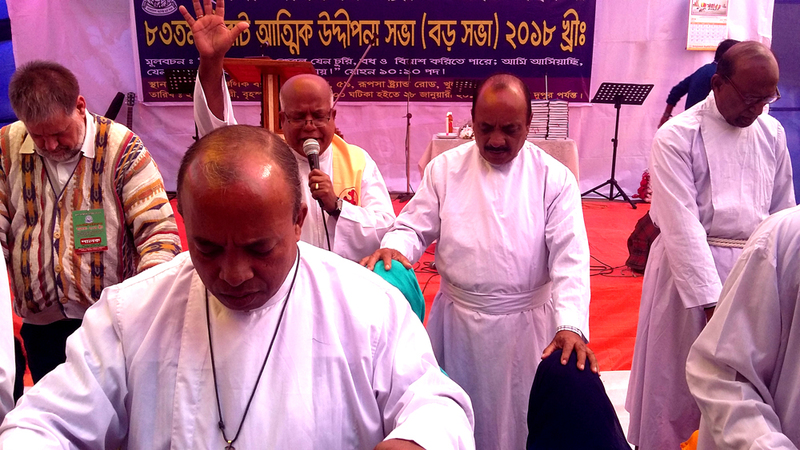 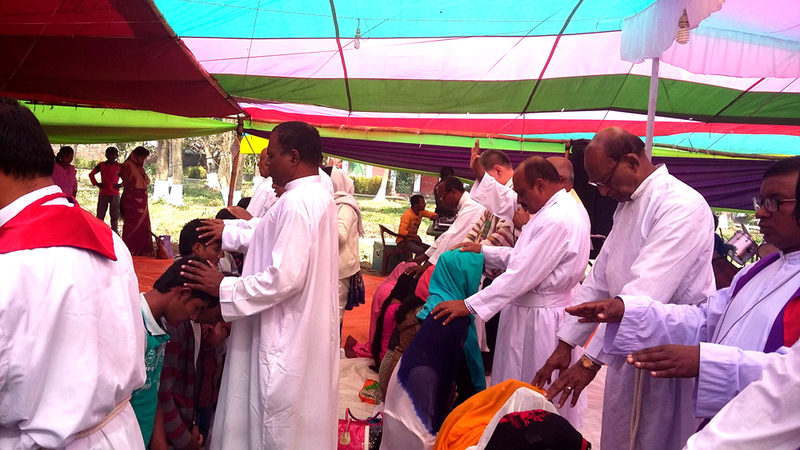 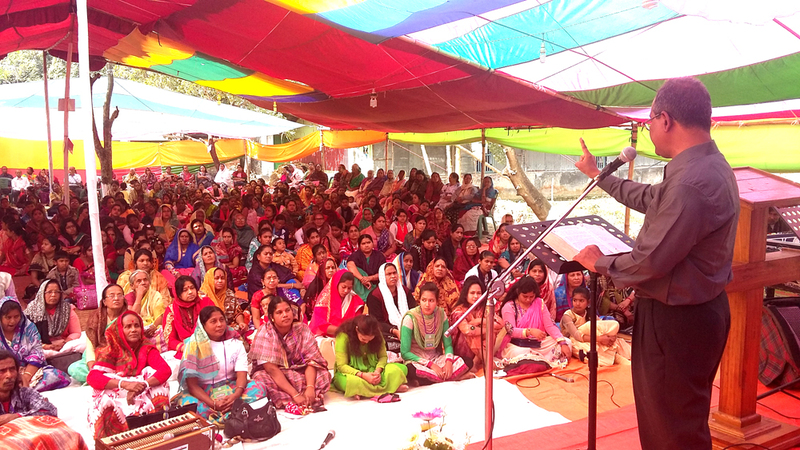 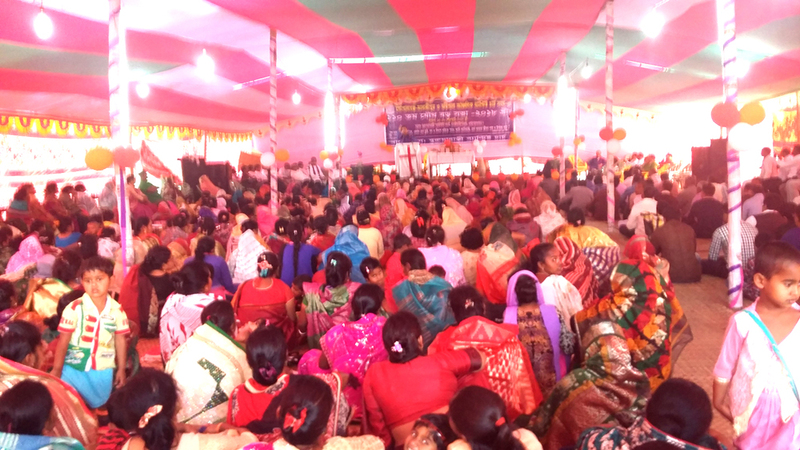 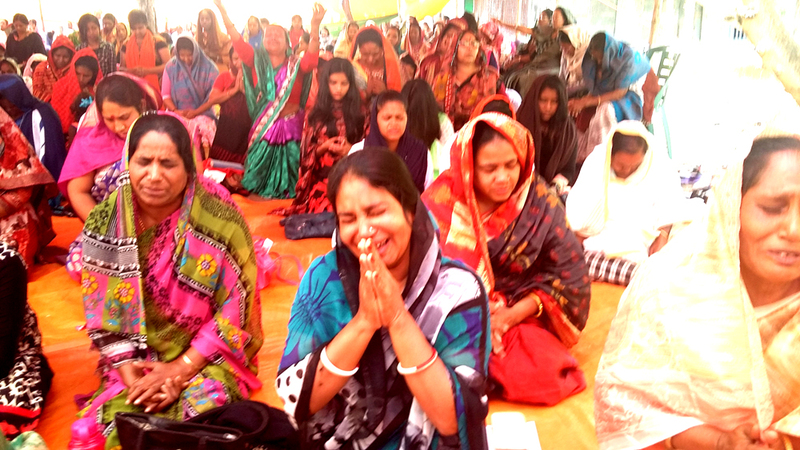 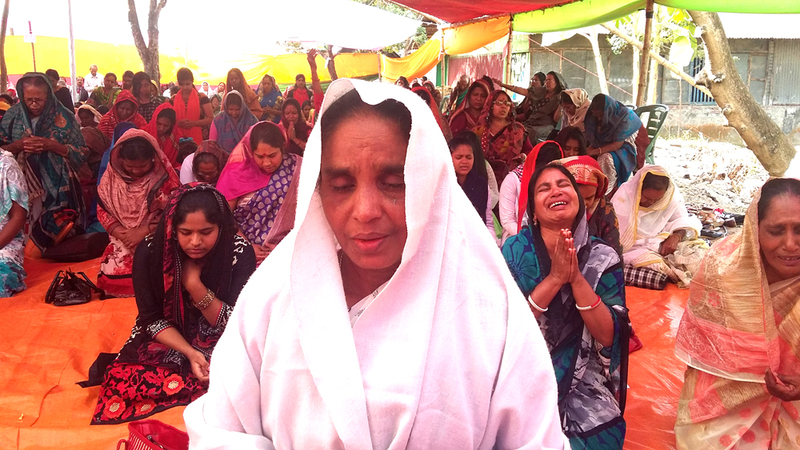 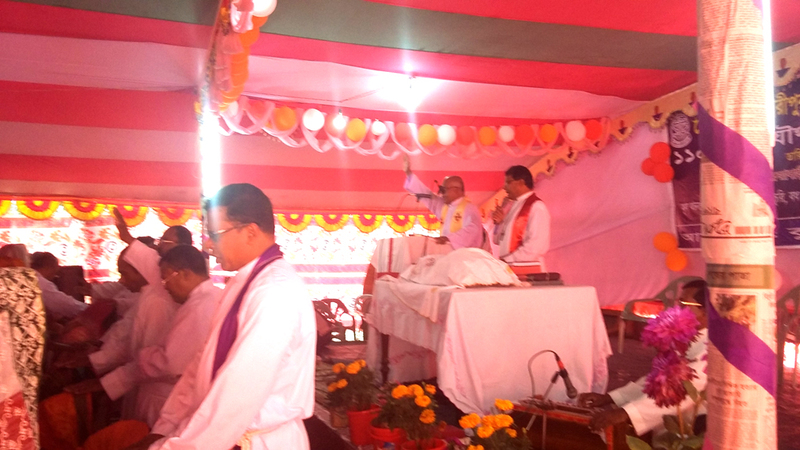 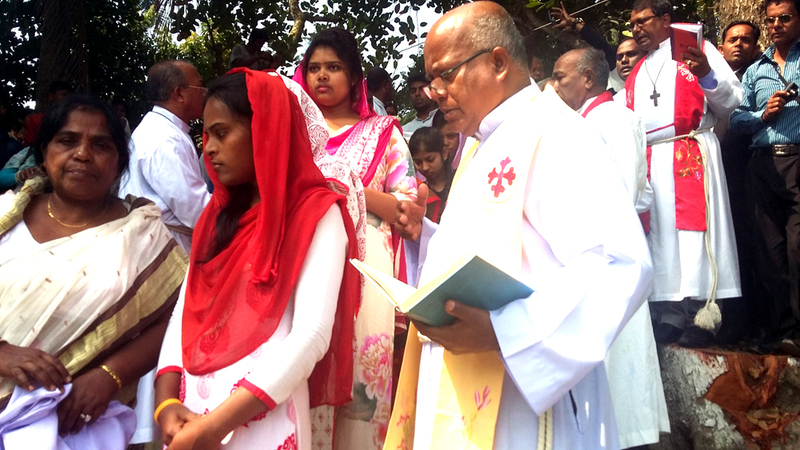 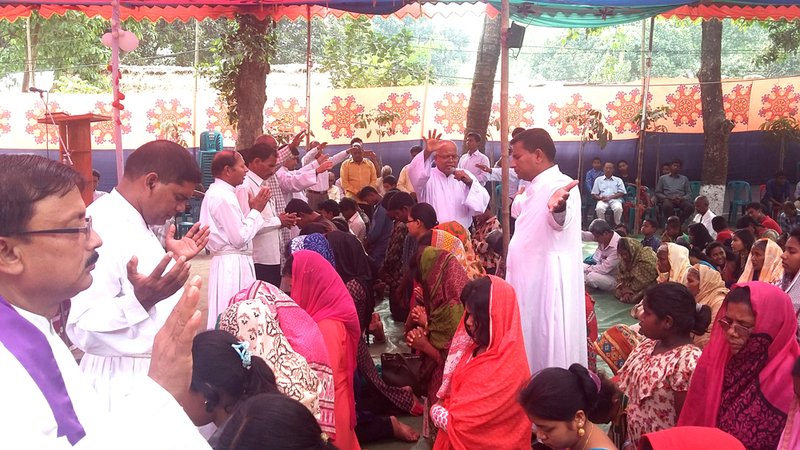 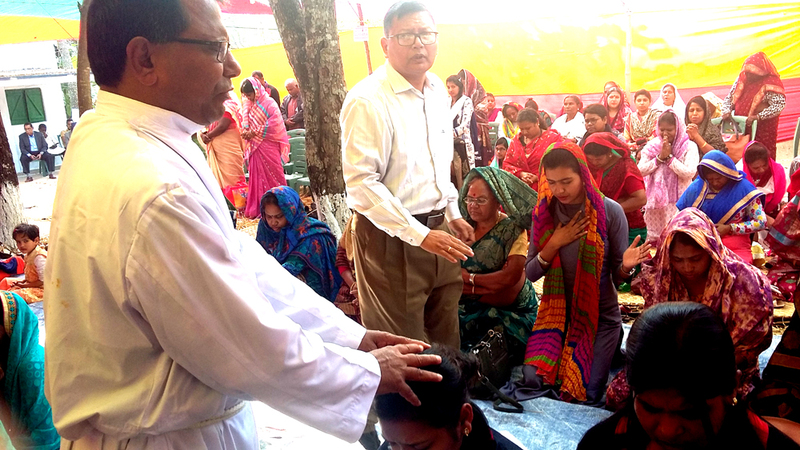 The Baptist Church Sangha is the oldest and largest Protestant denomination in Bangladesh. 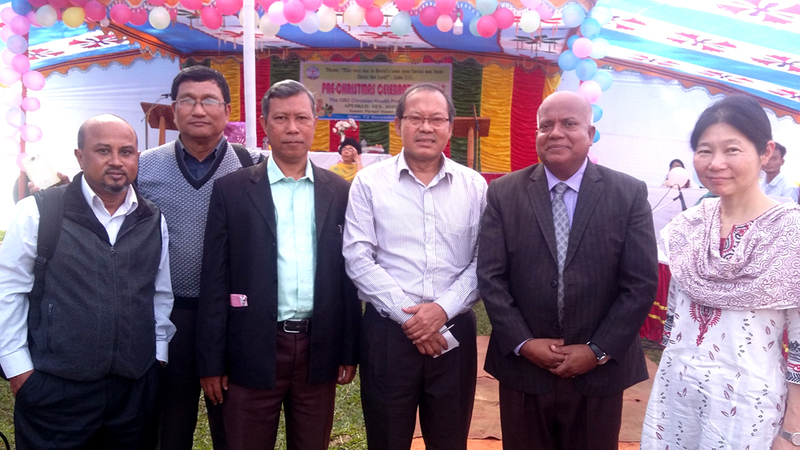 Its origins go back to the work started by Dr William Carey in 1796. 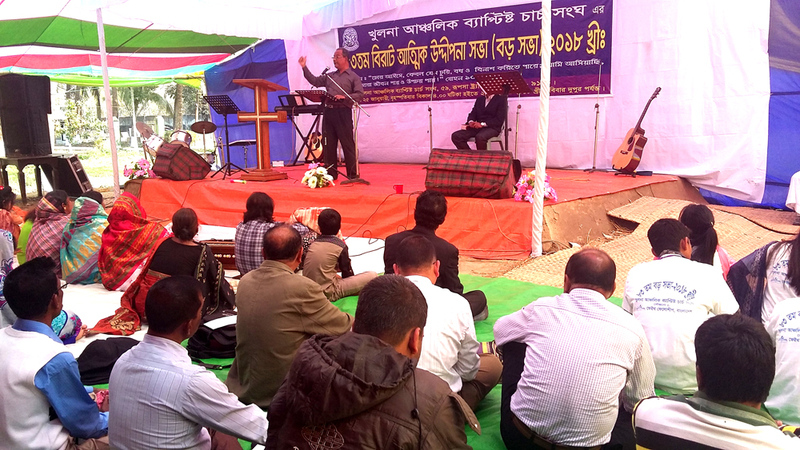 Later, Baptist Missionary Societies from New Zealand and Australia began working in East Bengal (now Bangladesh). 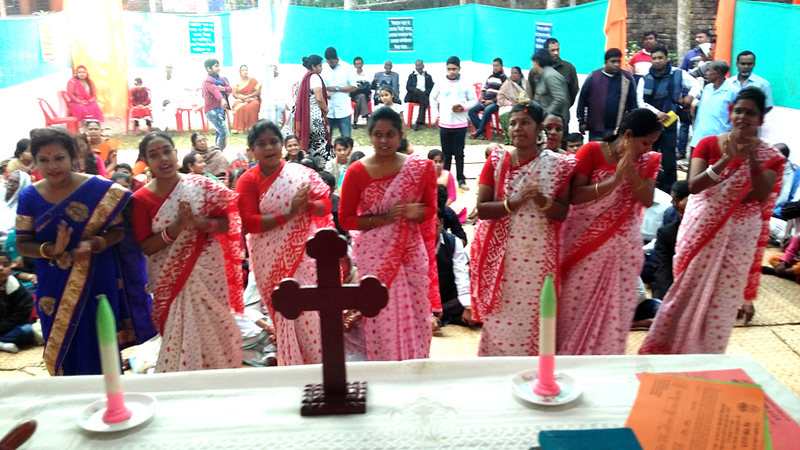 From then on the Baptist Missionaries came to Kolkata in different occasions and directed the Missionary activities to India and East Bengal from Sreerampur. 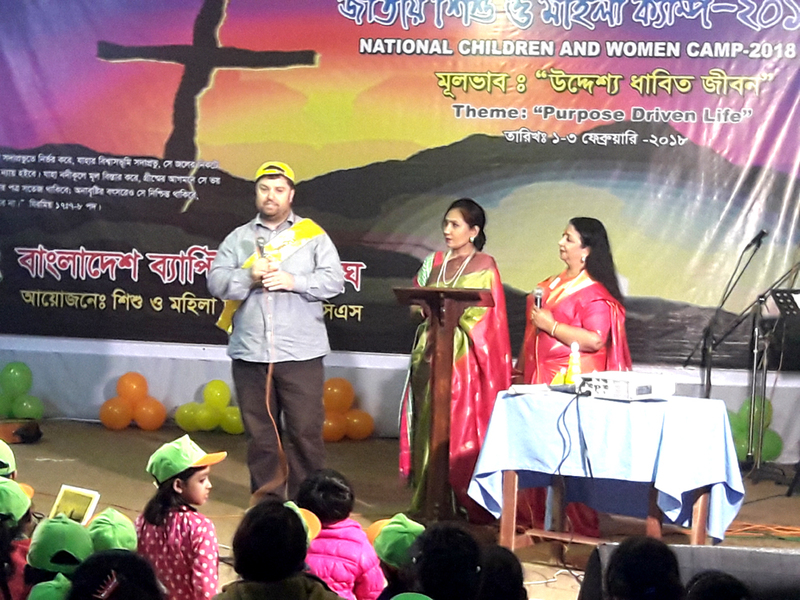 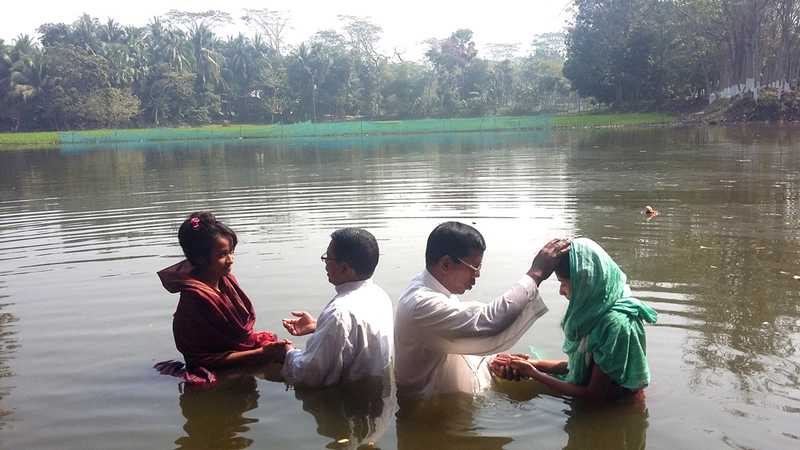 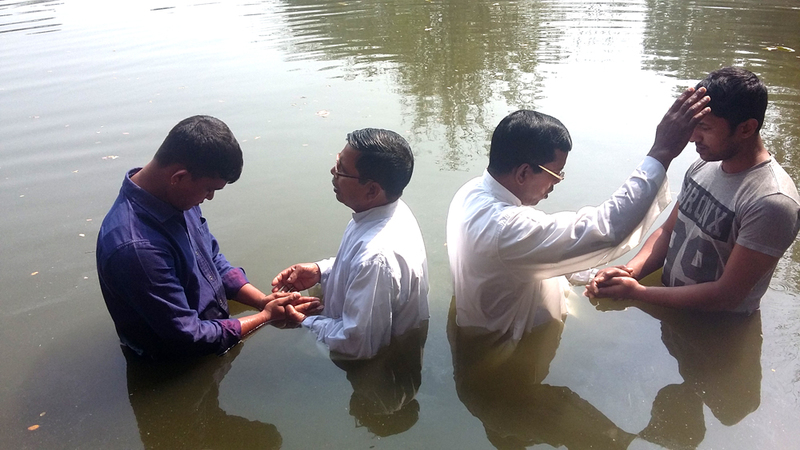 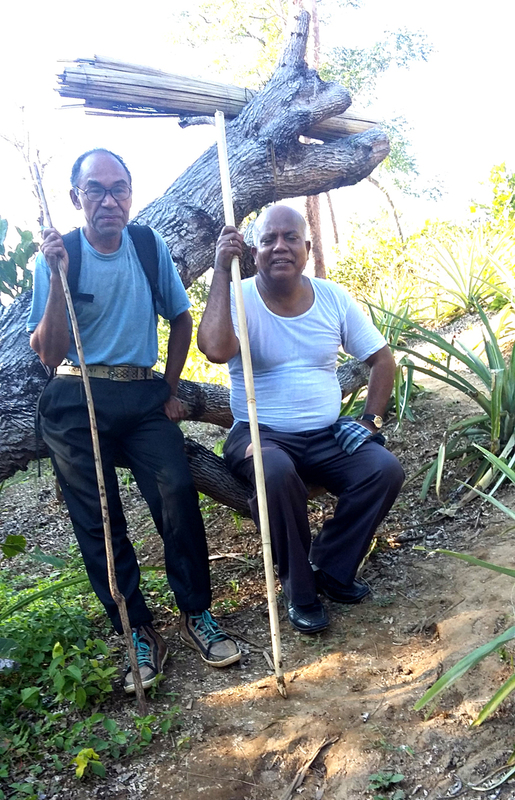 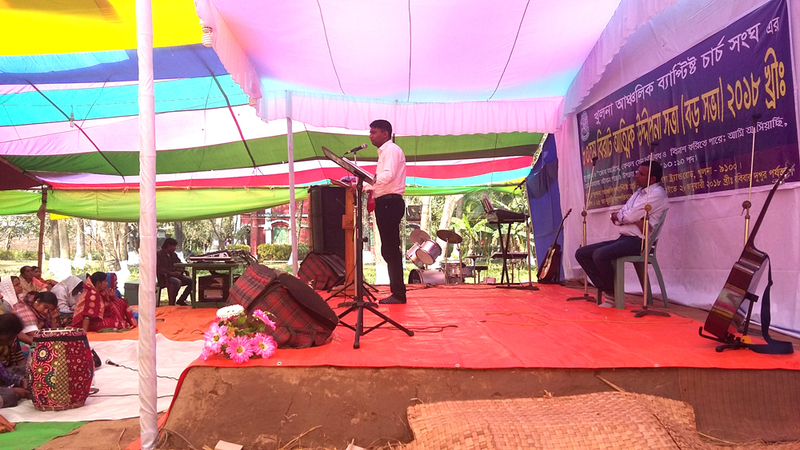 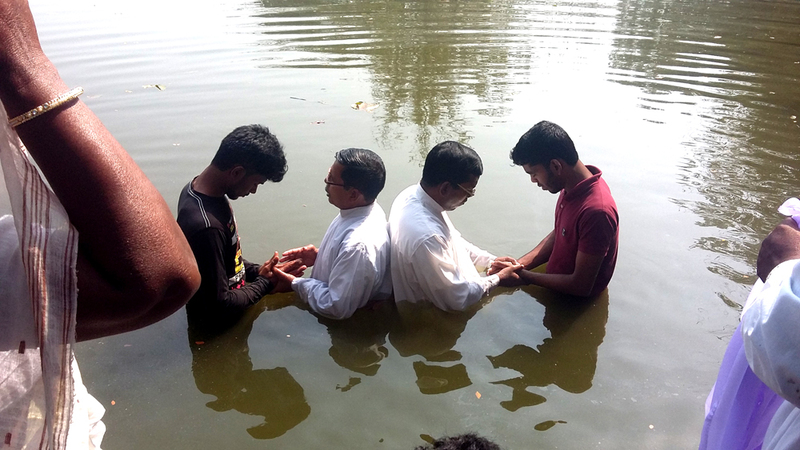 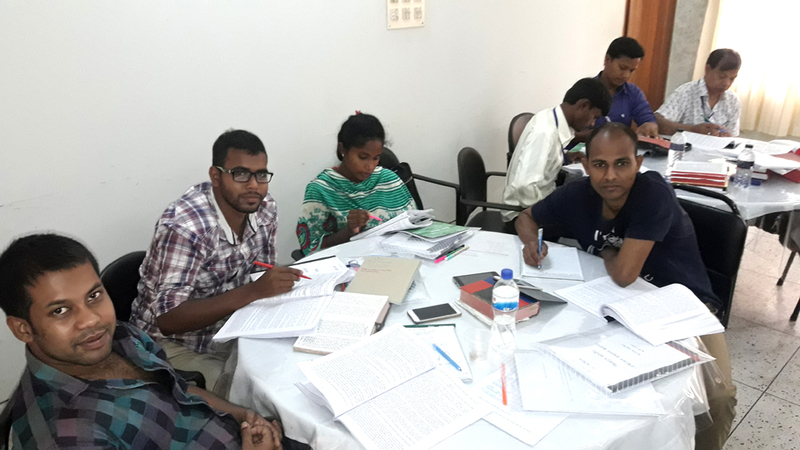 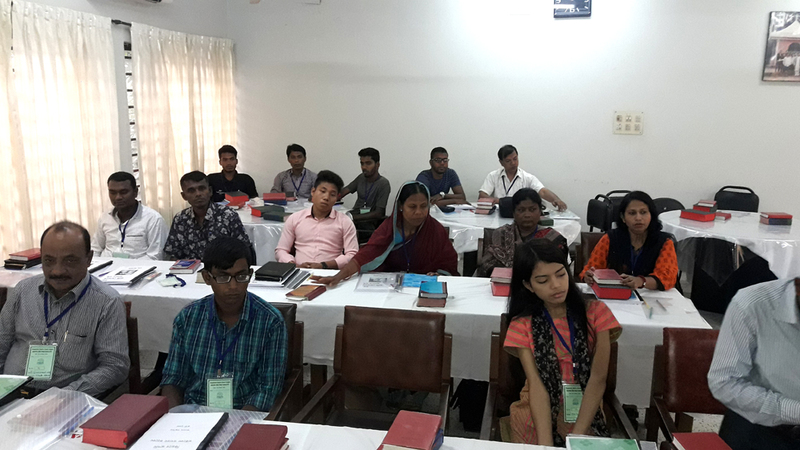 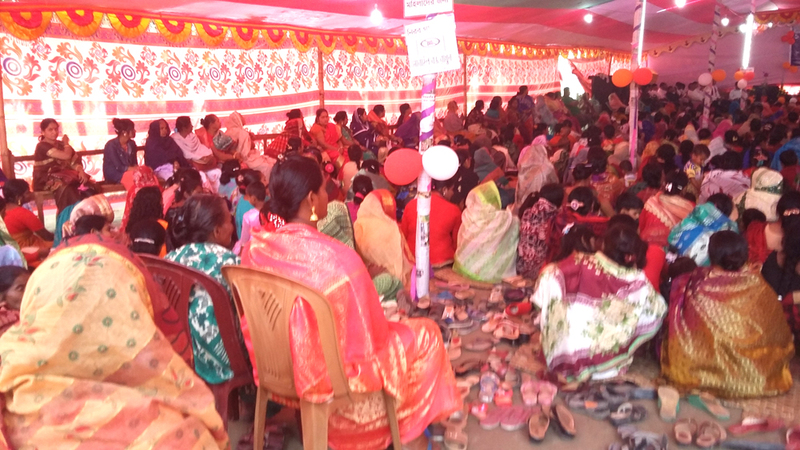 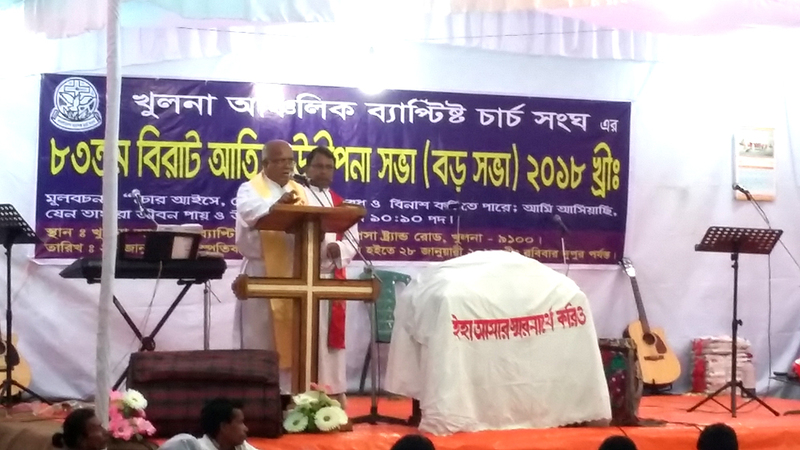 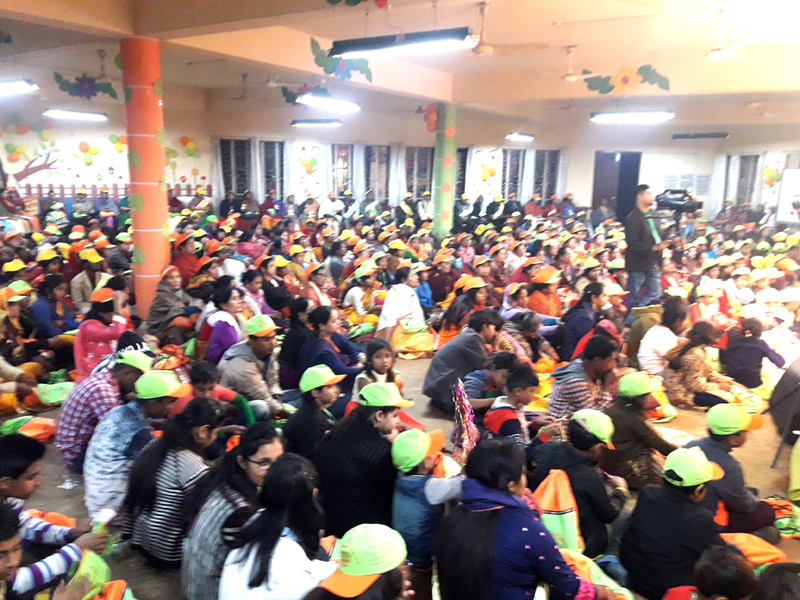 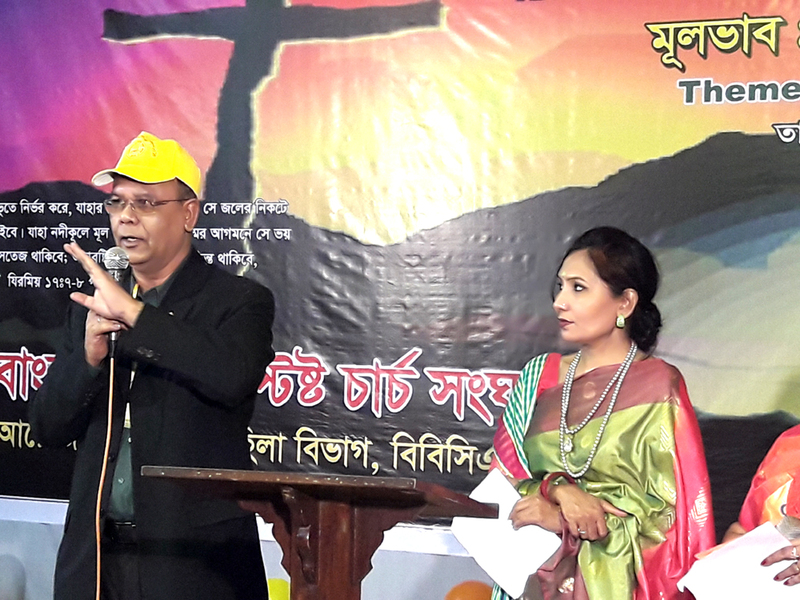 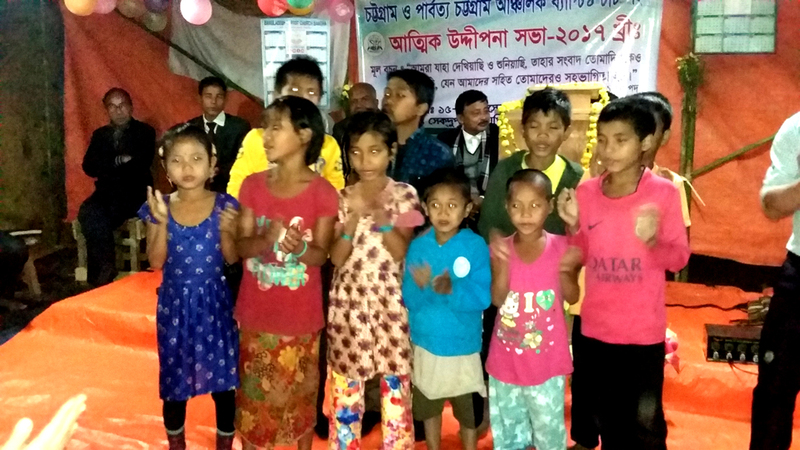 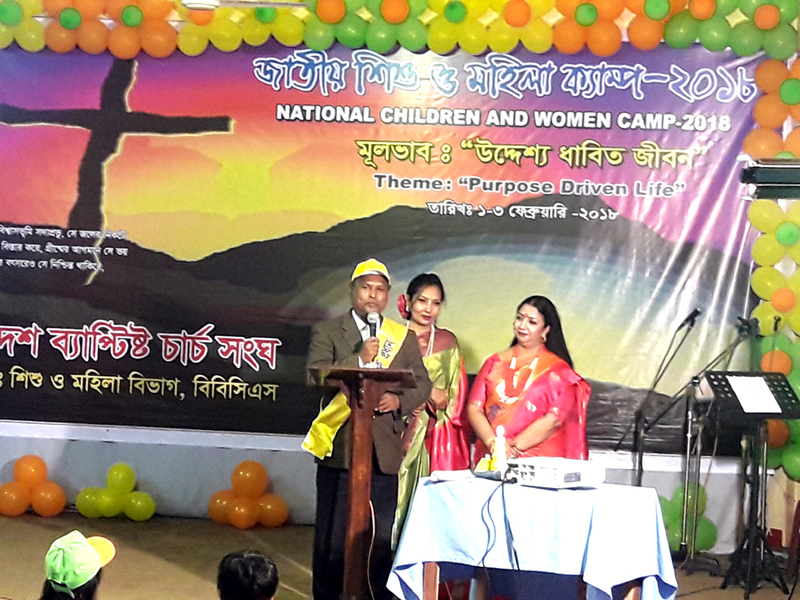 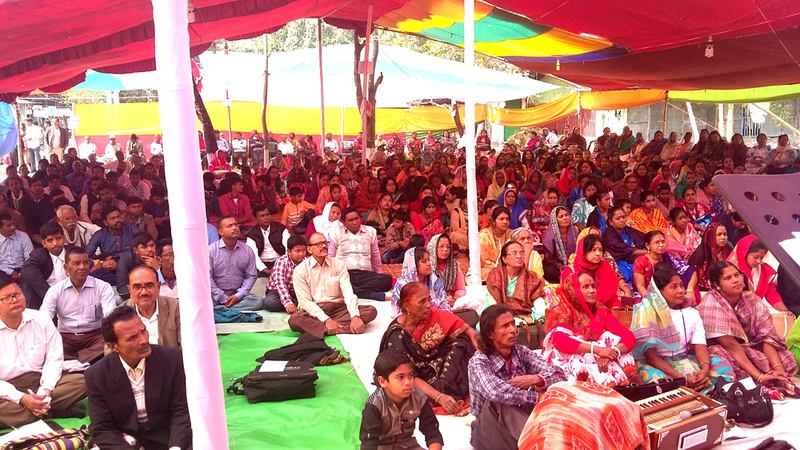 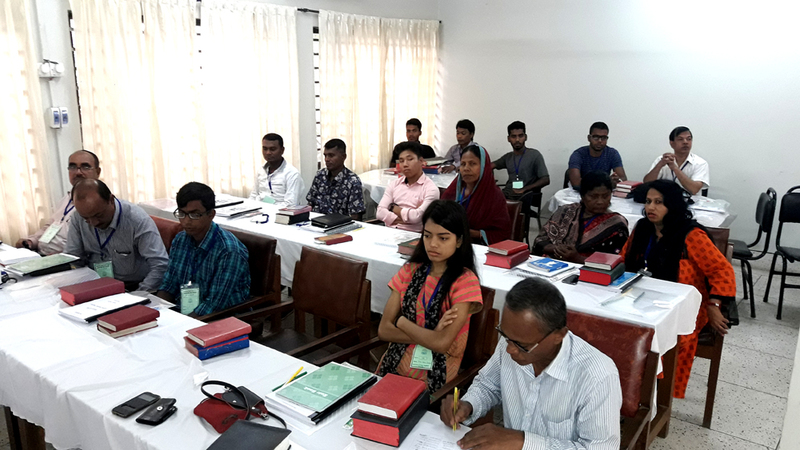 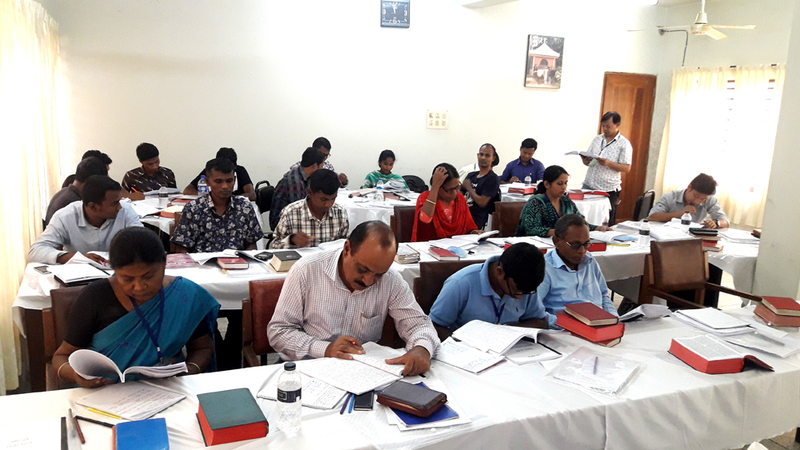 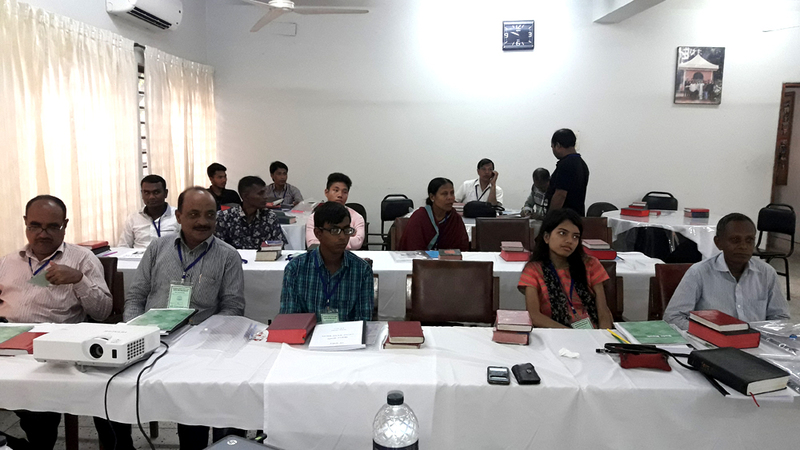 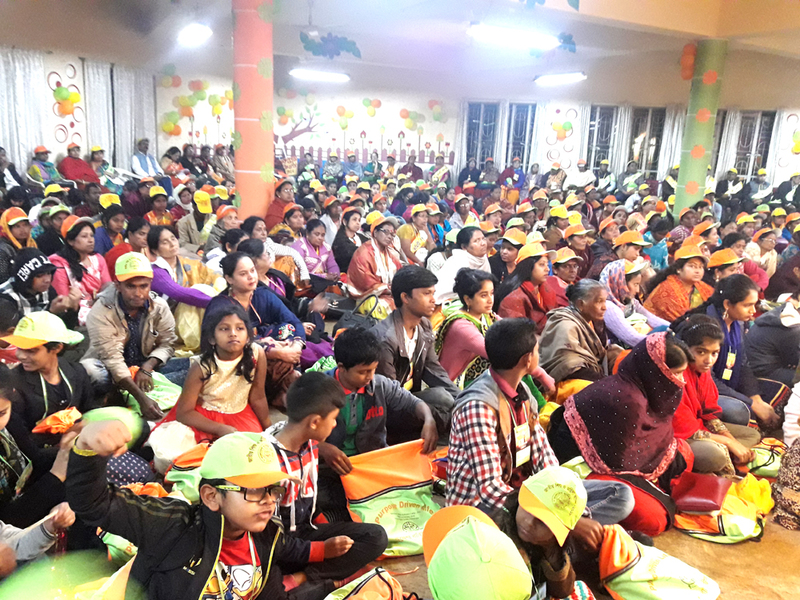 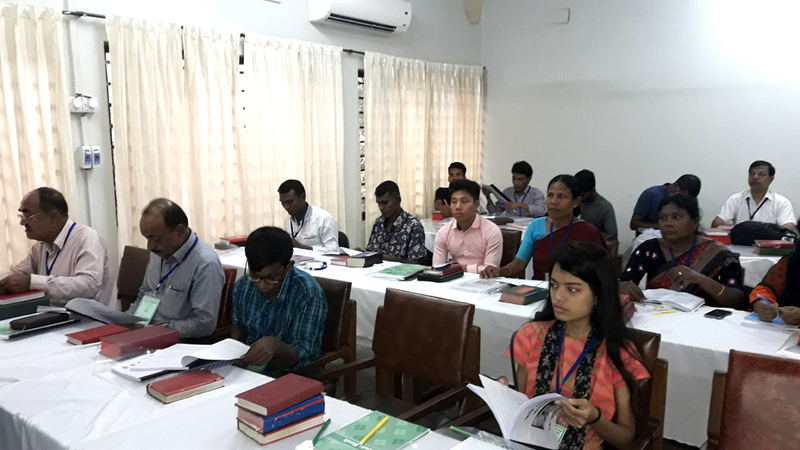 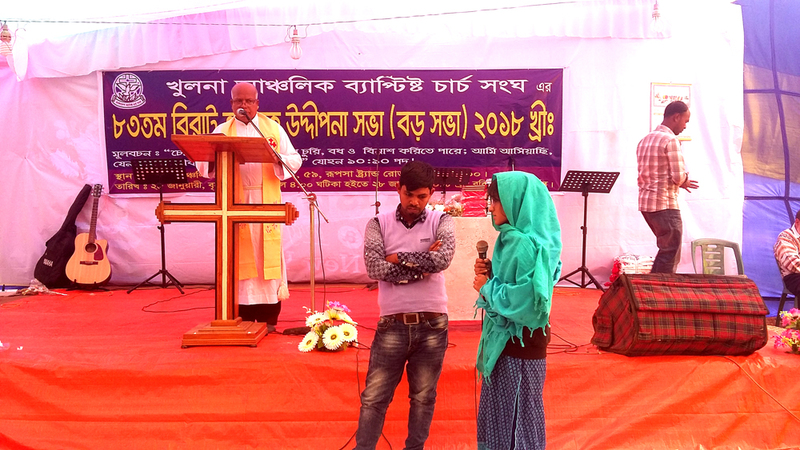 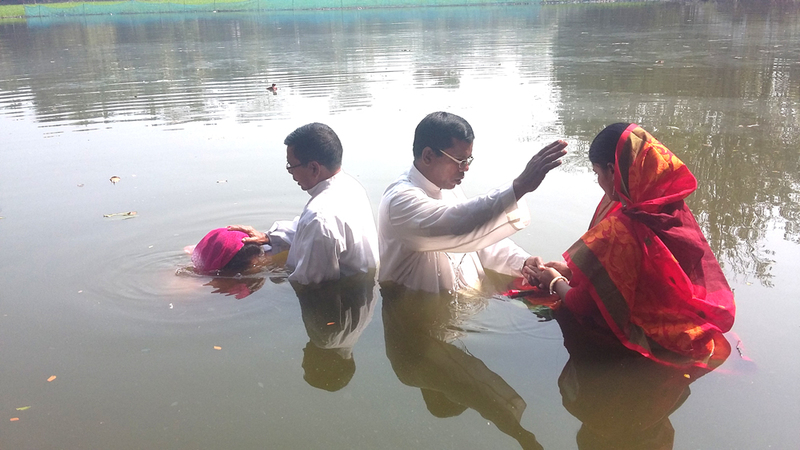 In continuation of this in Sadamahal, Dinajpur, Bangladesh the first Baptist Church was founded in 1806 in cooperation with BMS’s Missionary Ignatius Fernandez. 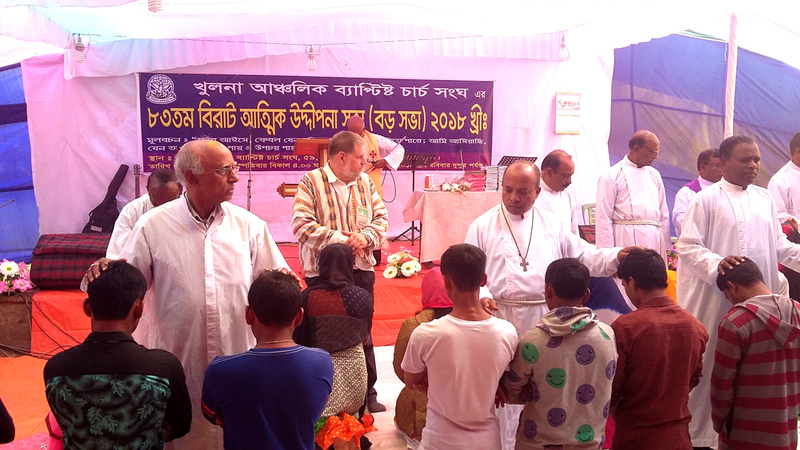 In order to develop a better management and cooperation among the church a SANGHA was established in 1922 by the several Baptist Churches in Bengal by the inspiration of the BMS Missionary and in 1935 this SANGHA turned into ‘Bengal Baptist Union’ being attached with BMS address of which was 95 Eliott Road, Kalkata-16. 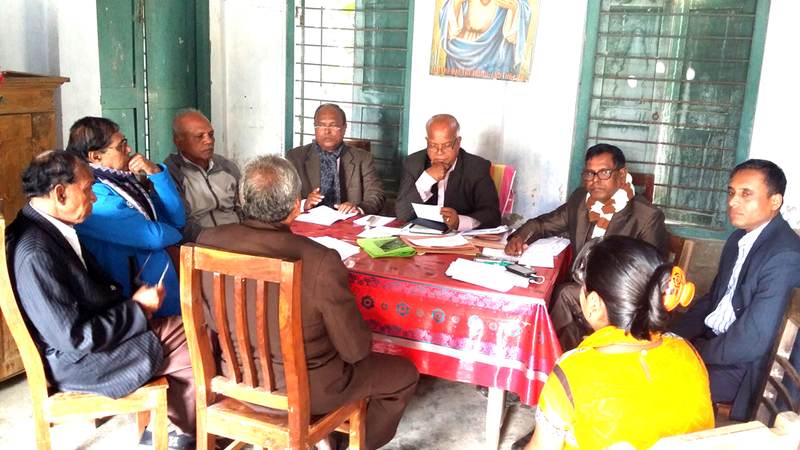 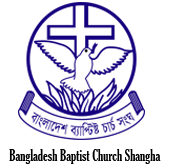 A General Assembly of Bengal Baptist Union held at Barisal on 26-28 October 1955 named as Pakistan Baptist Sangha. 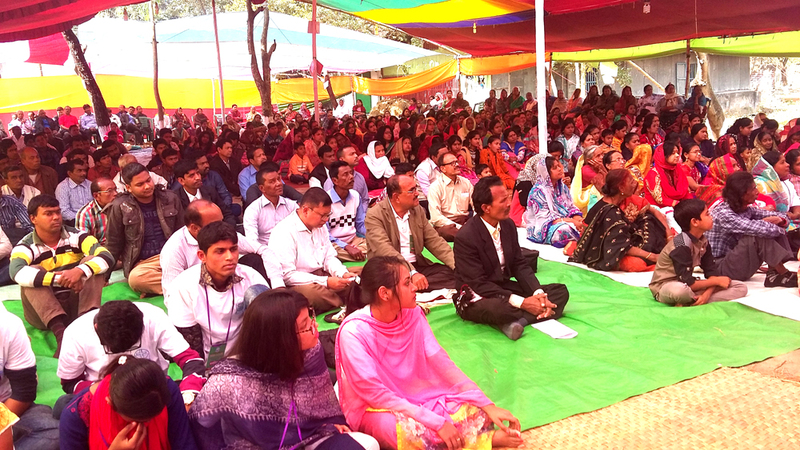 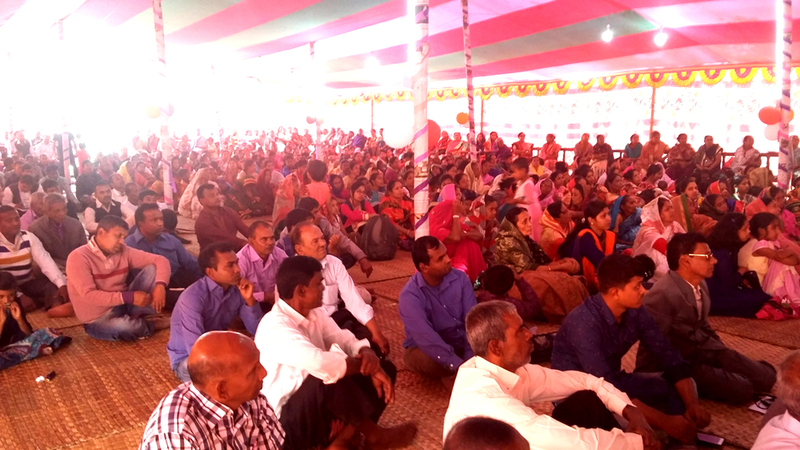 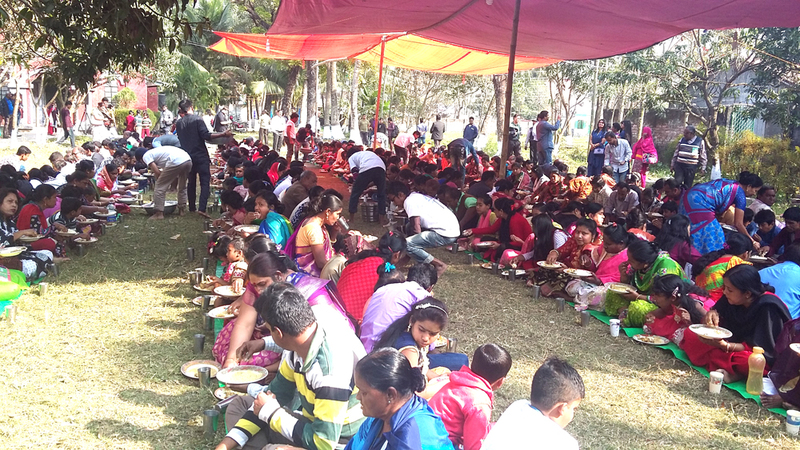 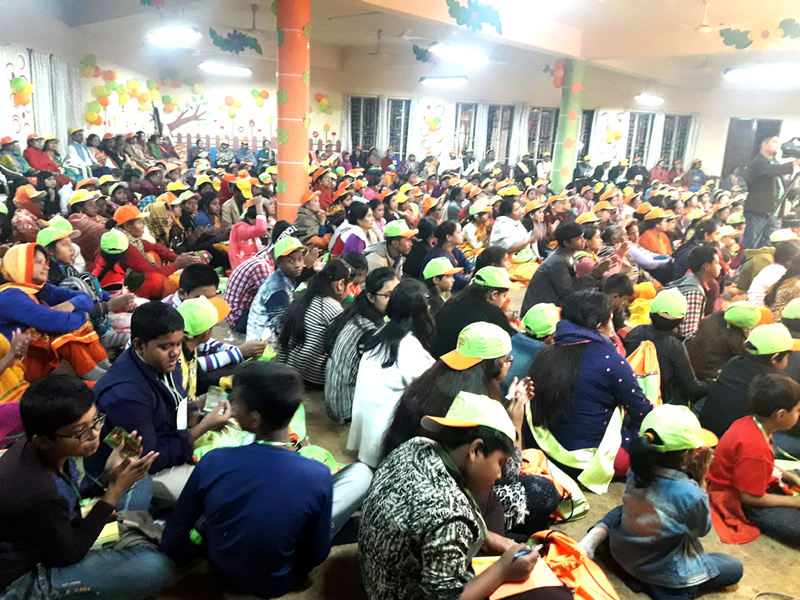 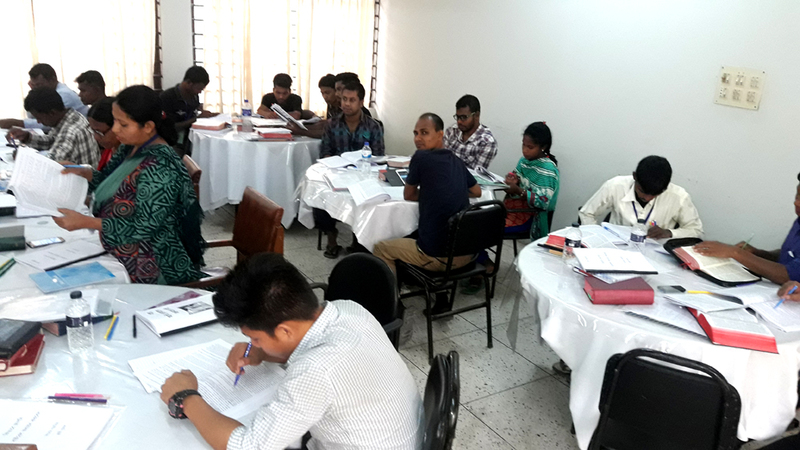 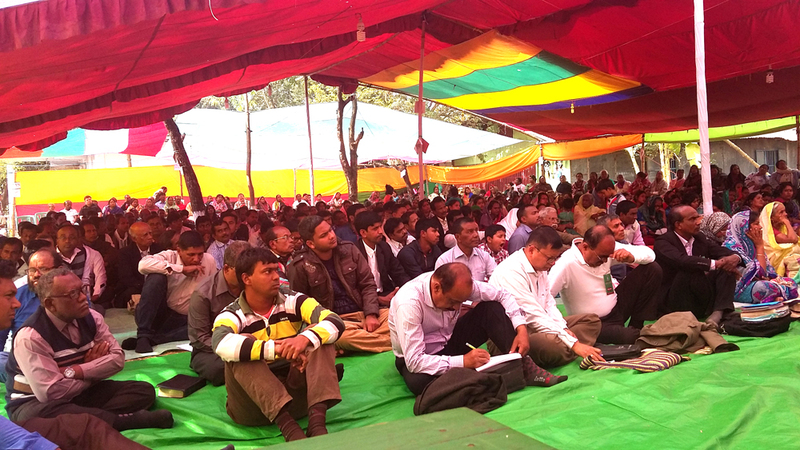 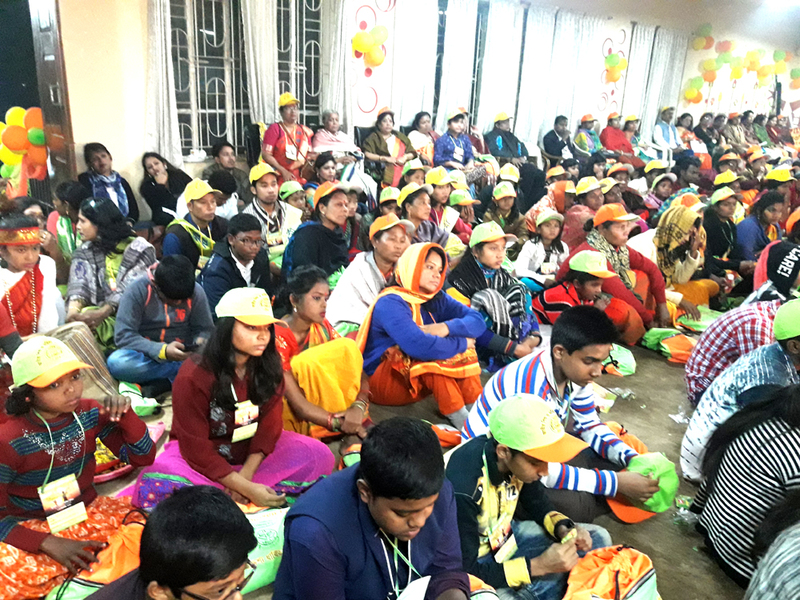 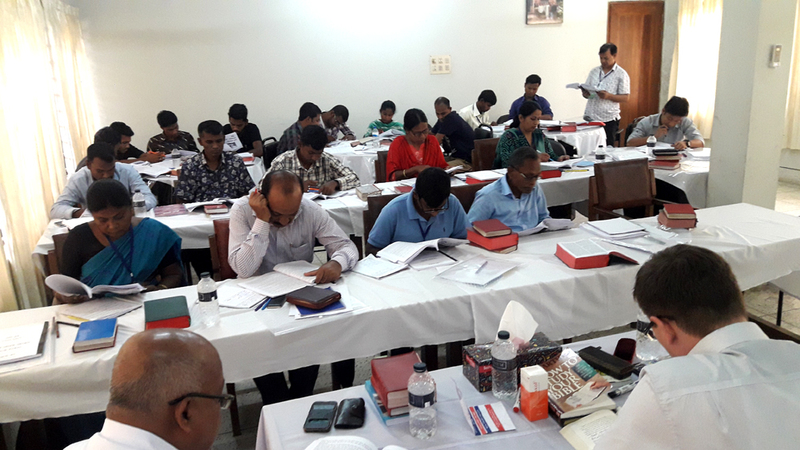 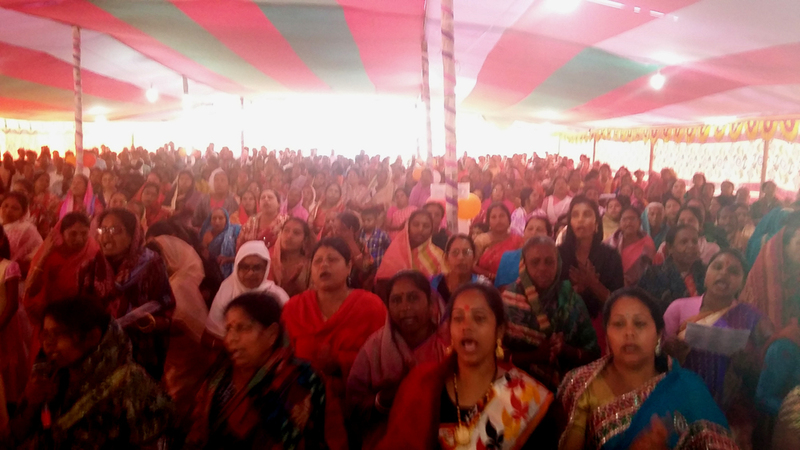 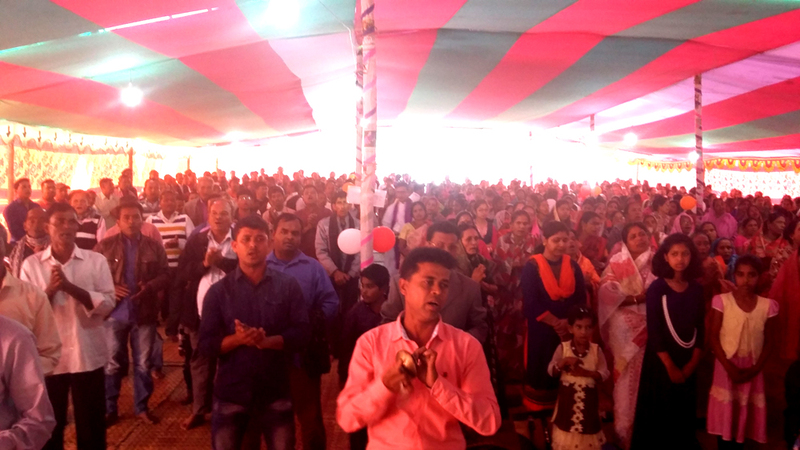 After independent of Bangladesh in 1972 the Pakistan Baptist Sangha was changed to Bangladesh Baptist Sangha (BBS) and on 26 January 2001 Council Meeting of BBCS & in 2001 (28-29 June) General Assembly of BBS changed the name from BBS to Bangladesh Baptist Church Sangha (BBCS), its call SANGHA. 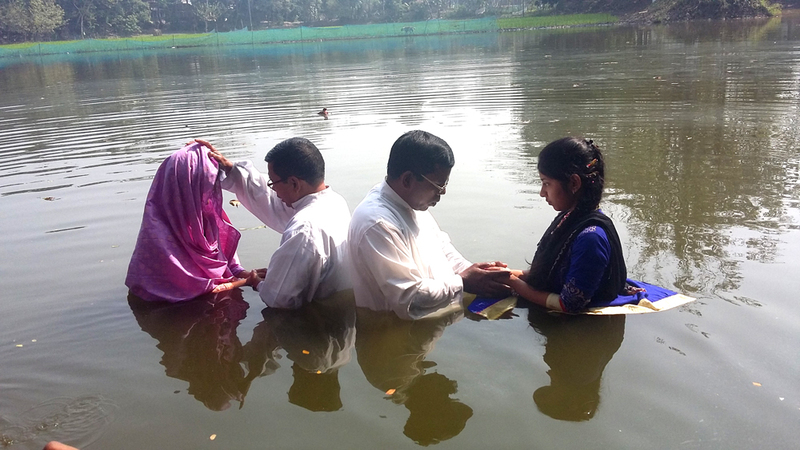 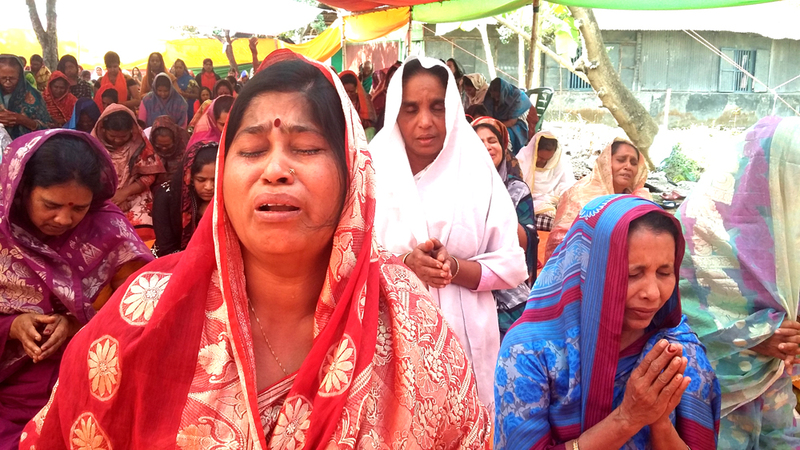 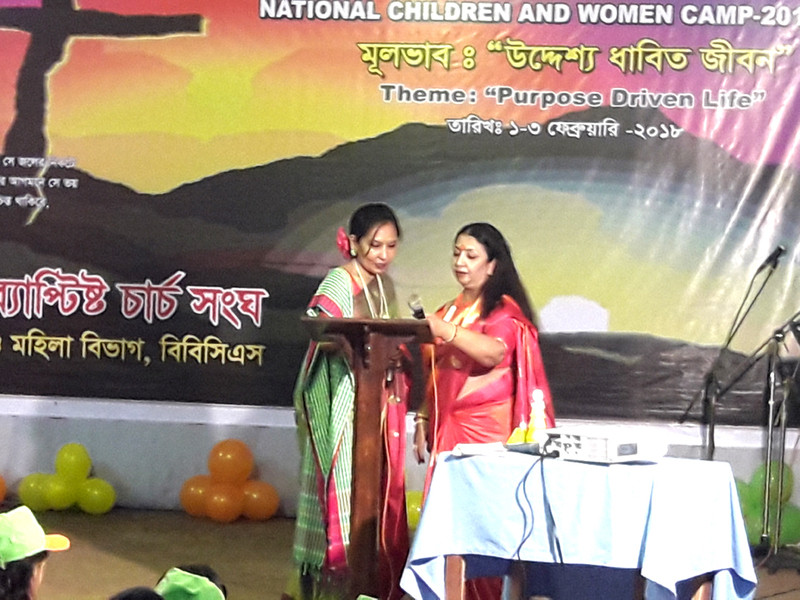 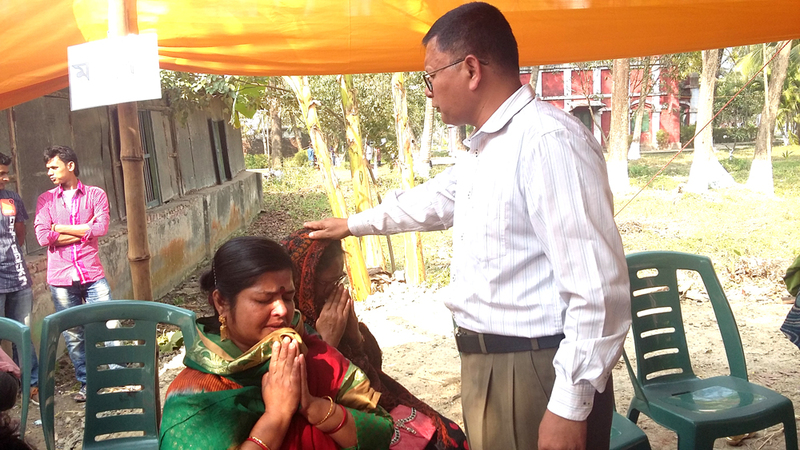 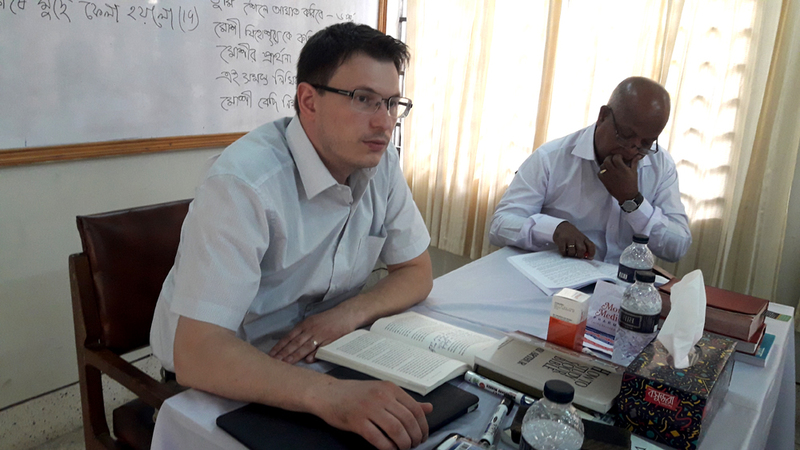 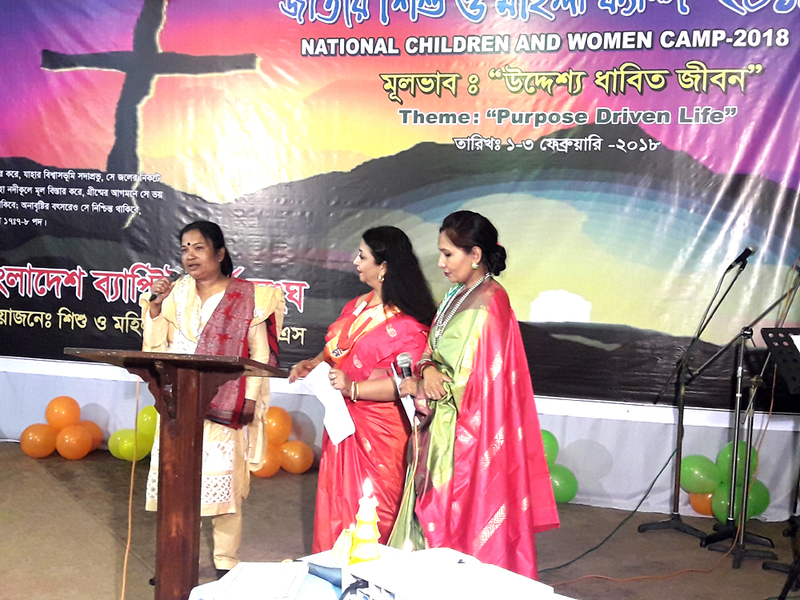 Evangelism is difficult in Bangladesh which is an Islamic country. 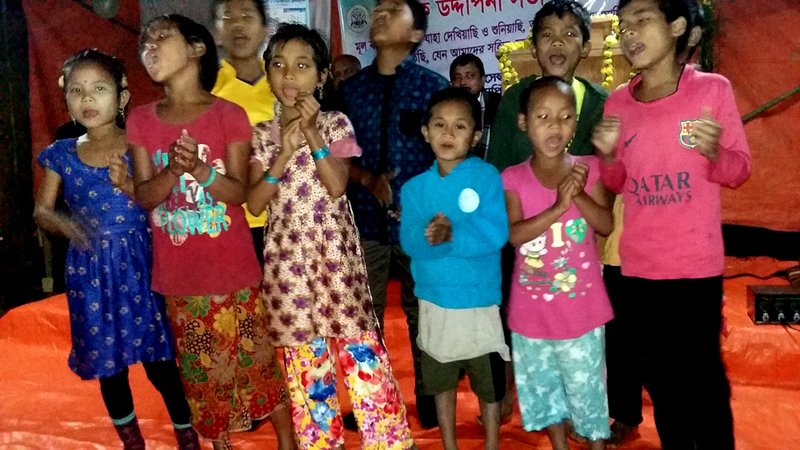 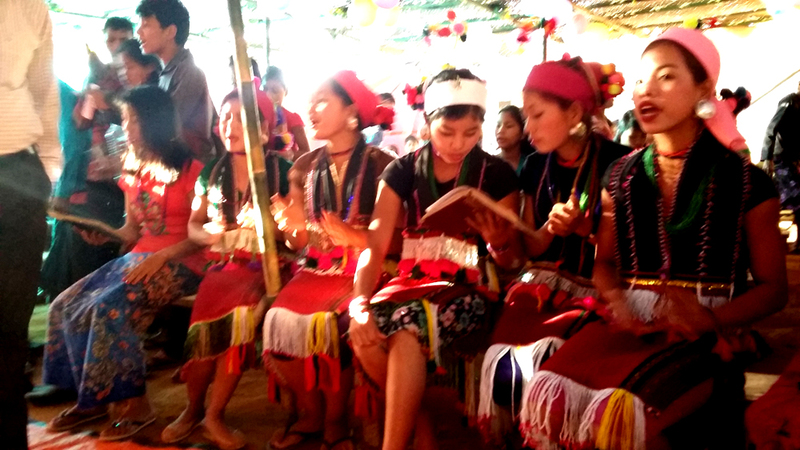 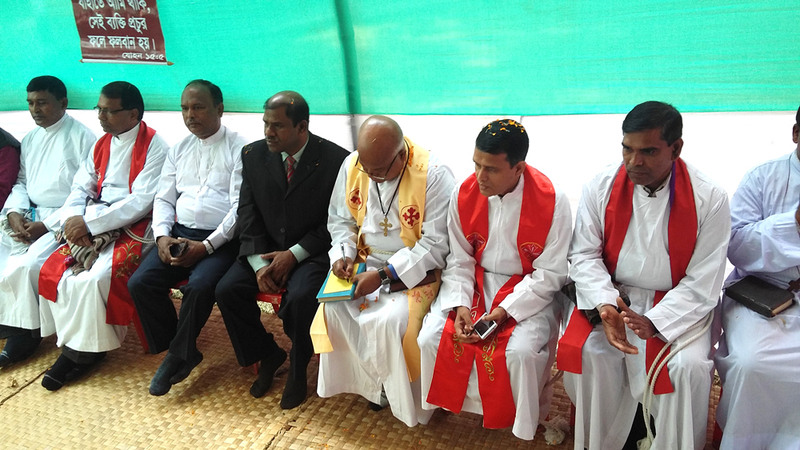 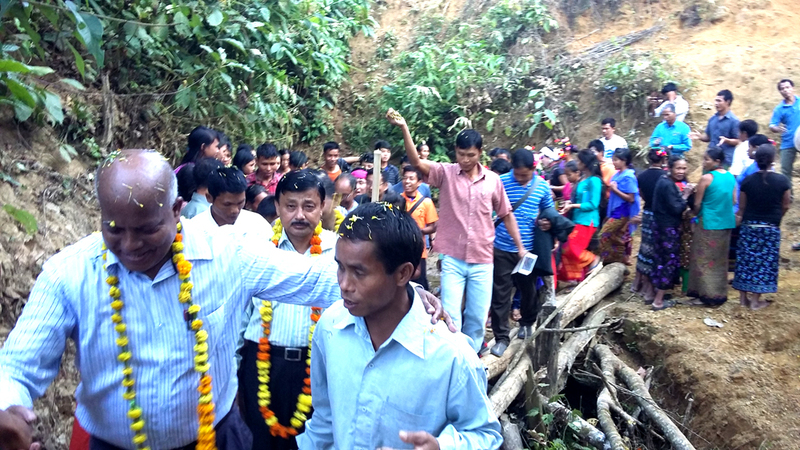 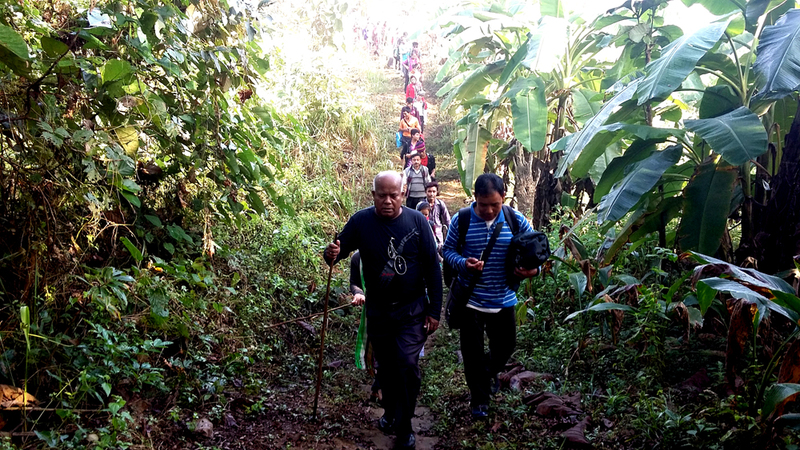 However the BBCS has established 22 churches among the Santal tribal people and 17 among the Mru in the Bandarban Hills and other on most of the people of Hilli area are very poor and illiterate, and are struggling to maintain their spiritual values. 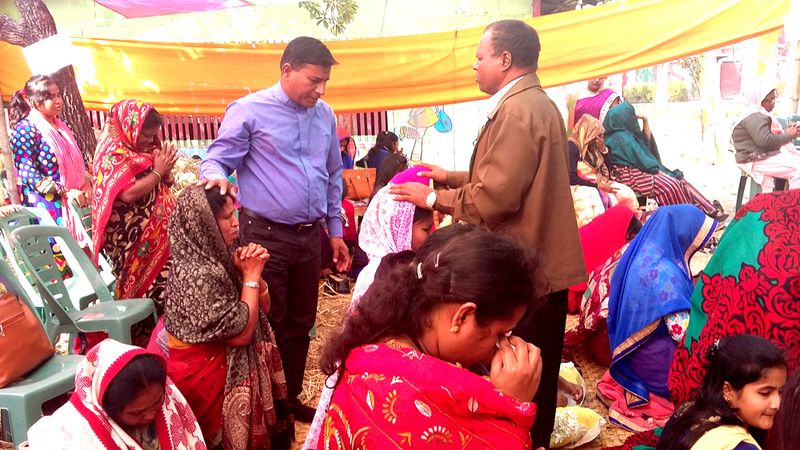 Proper values will help to develop the churches and the communities. 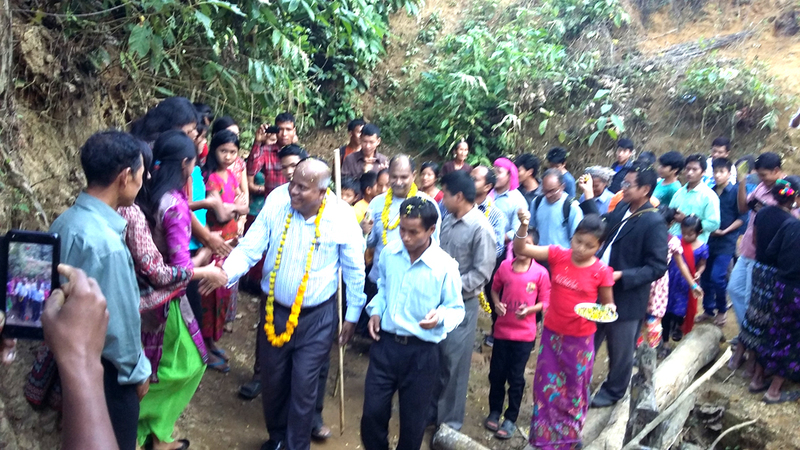 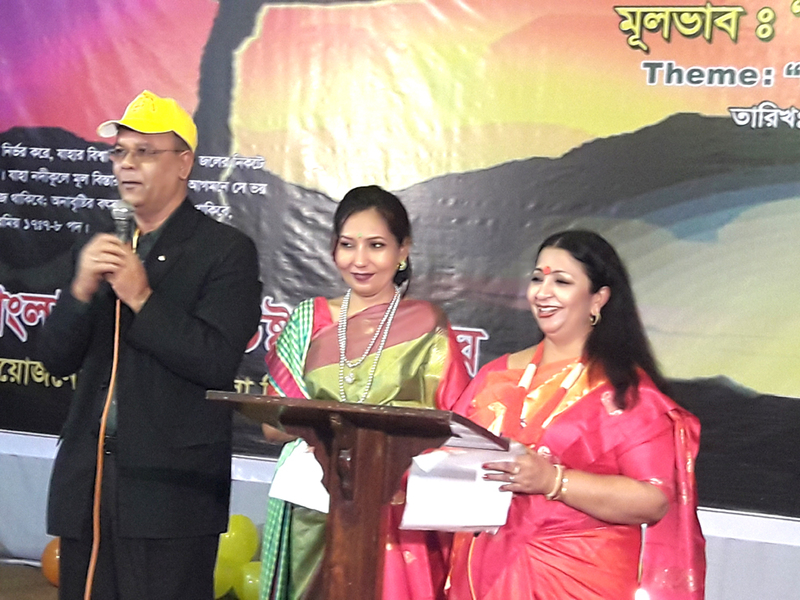 The Sangha is also participating in the hostel program for students at school, college and university level. 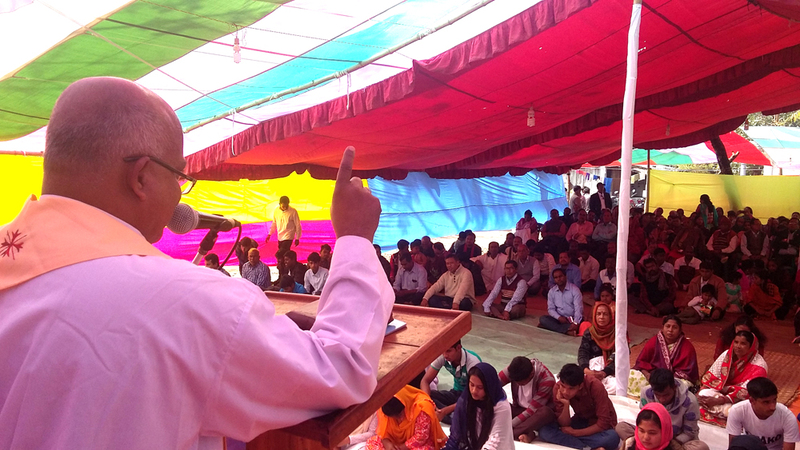 It is concerned with the opportunities of higher education for the poor. 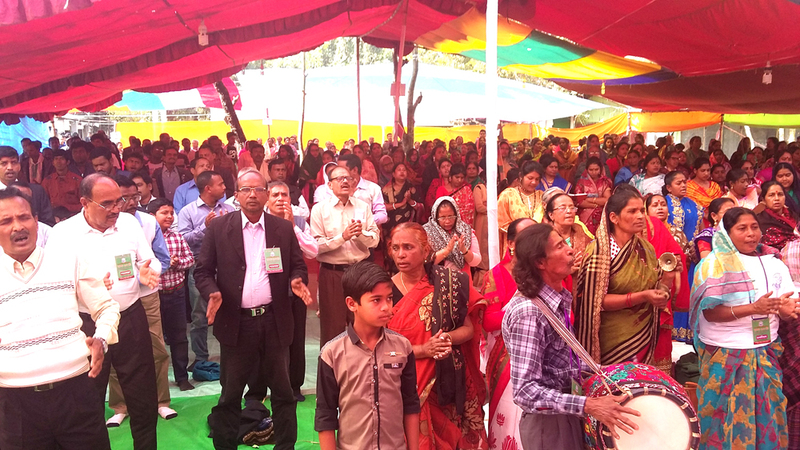 In the area of health care, the BBCS supports a wide range of activities, including a hospital, a leprosy hospital, 3 clinics and an educational program. 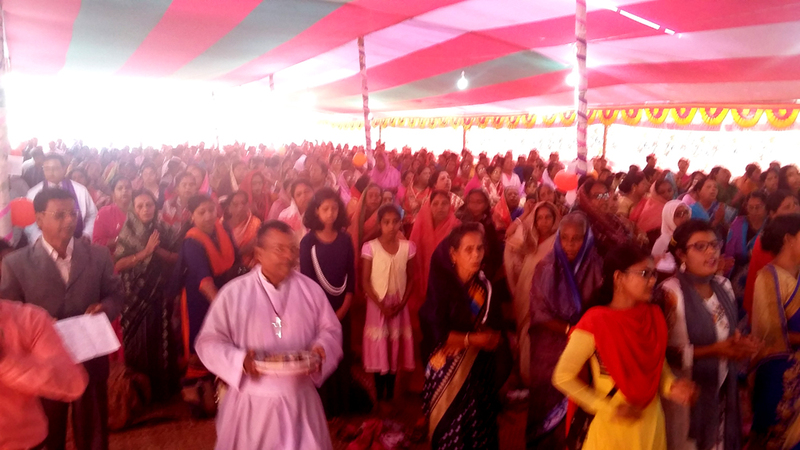 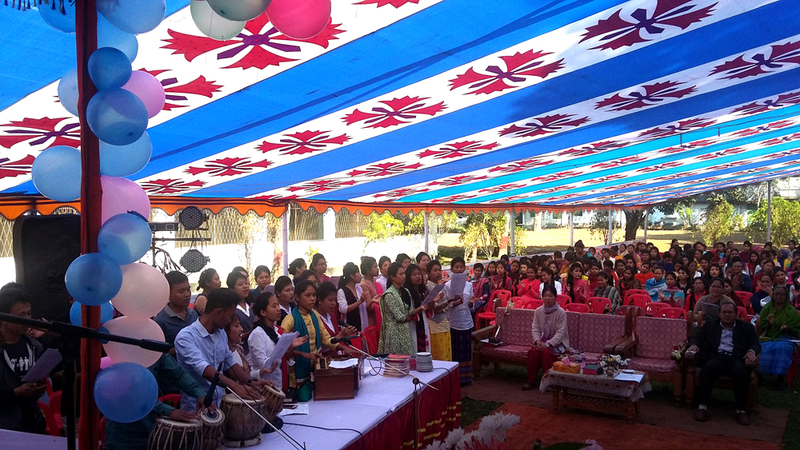 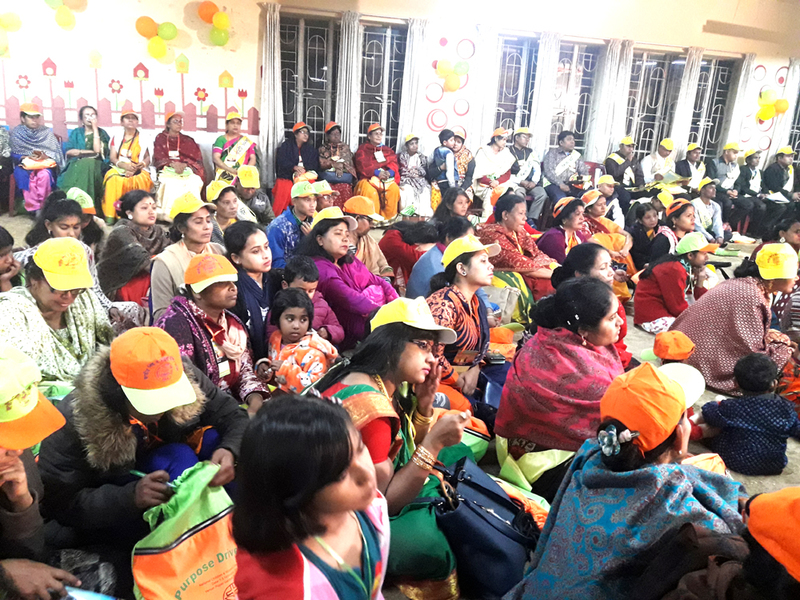 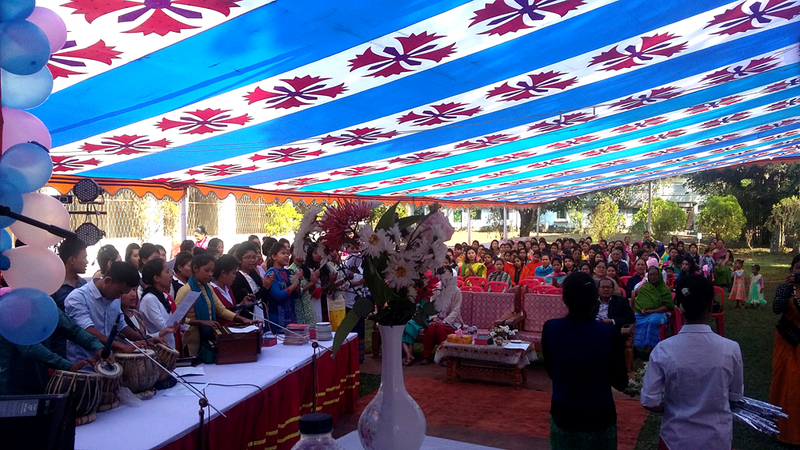 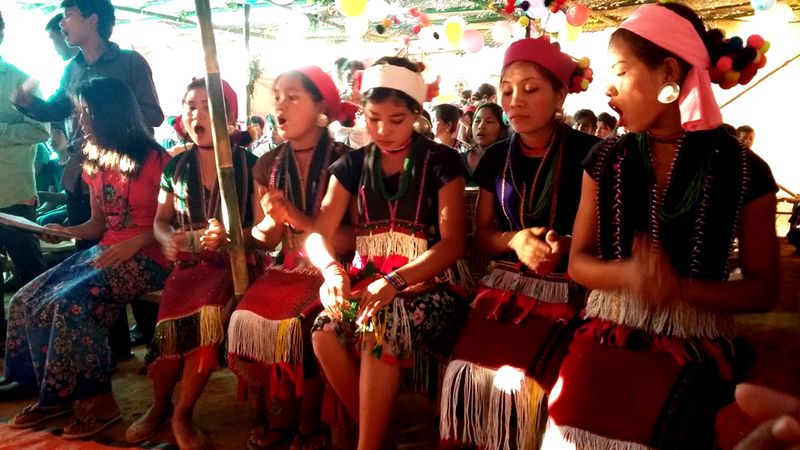 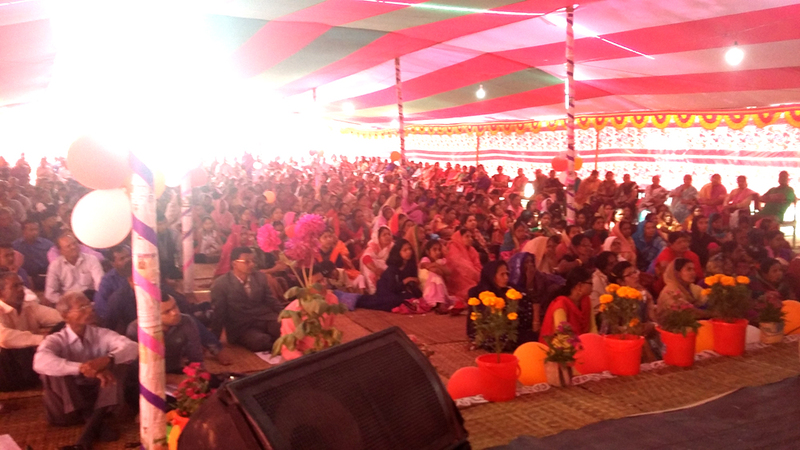 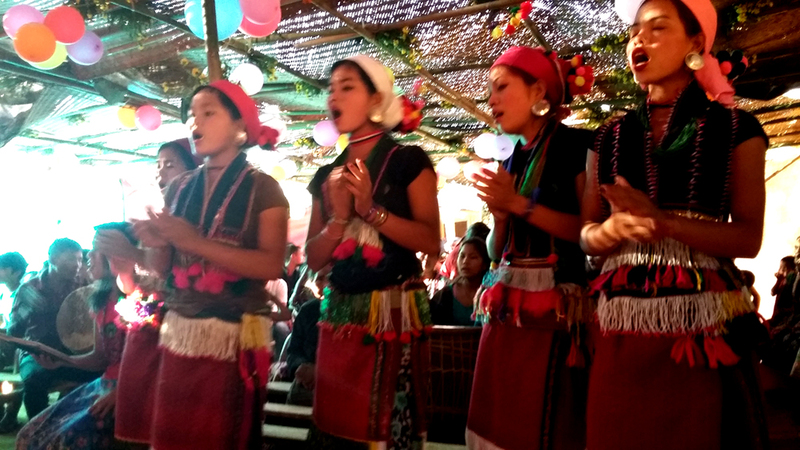 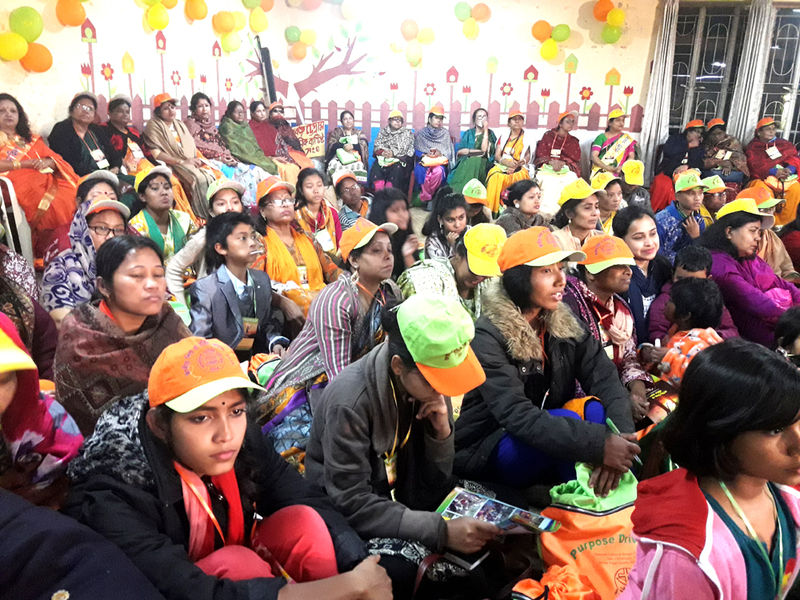 The Sangha runs three high schools for girls and boys, a junior high school, 64 primary schools, a school for blind girls, three children's homes with schools, and four hostels.